This is 19-year-old Jessica Meyer from the small town of Coffeyville, Kansas. Jess told BuzzFeed News she came up with the idea after seeing a video of the rapper singing "Tongue Tied" by Grouplove. "I wasn't sure if I could even pull it off, so I wanted to give it a test run before Halloween," she said. Jess said she only used makeup for her look, and used ka-BROW eyebrow gel for her eyebrows and the dark shade in the Anastasia contour kit. The under-eye tattoo is eyeliner. First, Jess sent the photos to her friends on Snapchat. They were suitably taken aback by it. And then Jess tweeted out her final look. That's when things really took off. Retweets began rapidly rolling in, and Jess had plenty of other people inspired by her costume as well, trying it out for themselves. 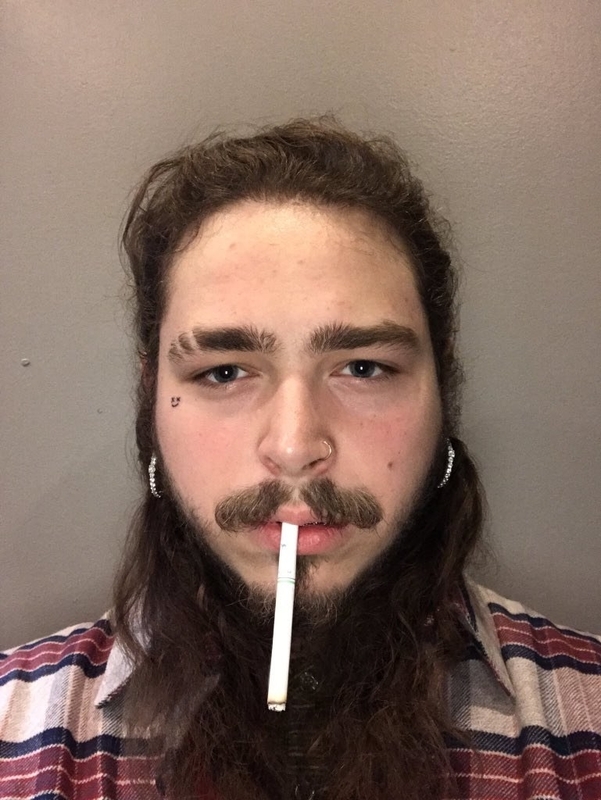 @kate_osowski @jessicakmeyer @PostMalone well at least you tried!! People were just really excited by the idea. And everyone started talking about how this might become one of the Big Halloween Costumes of 2017. 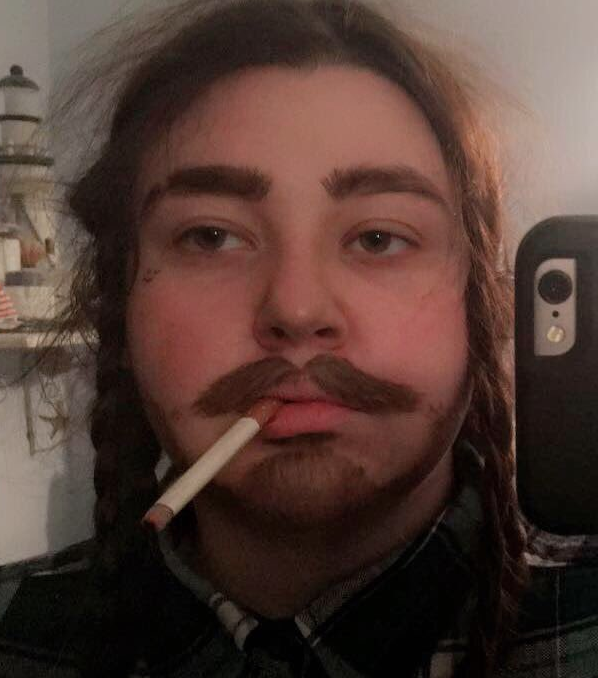 On Friday, Jess checked Twitter to find not only had Post Malone followed her profile, but also he had posted a few pics with his new doppelganger on his Instagram and Snapchat. "For the most part the reaction has been amazing," said Jess. "I've received tons of messages and everyone has been really nice." So if you were frantically worrying about what your Halloween costume was gonna be this year, at least now you have one free idea.